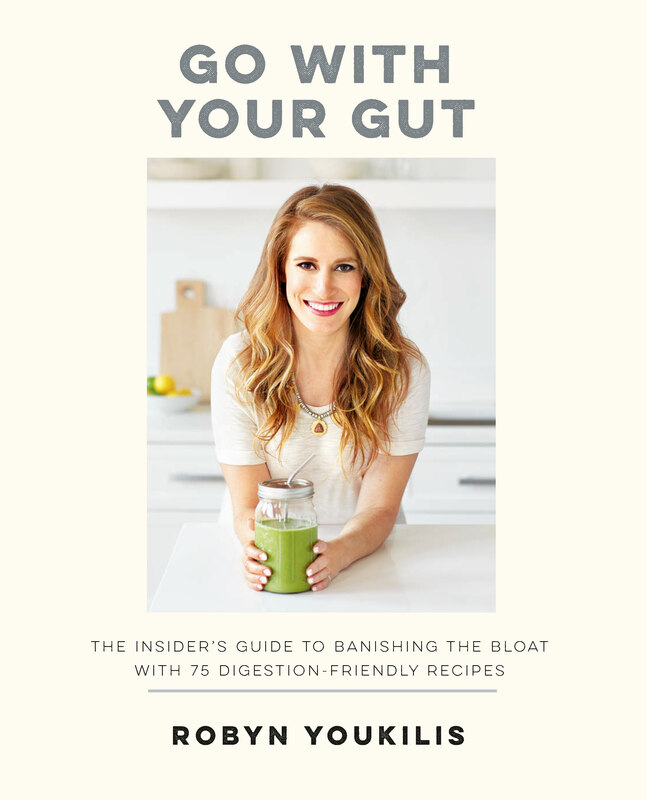 Robyn Youkilis has brought us a book called Go With Your Gut where she gently and encouragingly takes us thought her journey to wellness. 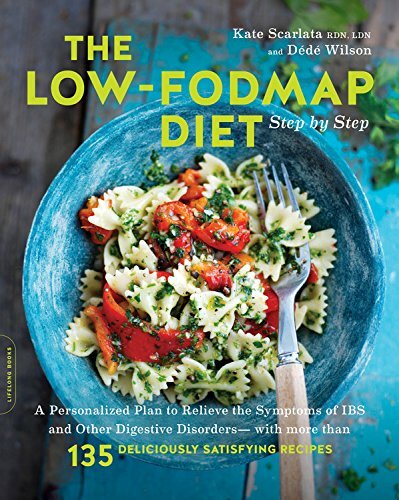 As someone who lives with IBS and related issues I found her approach refreshing and very relatable. 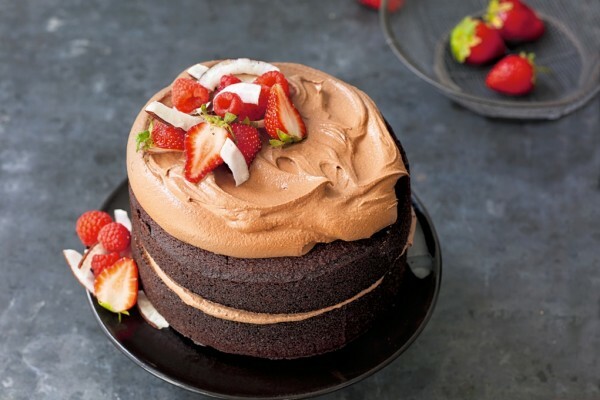 Here is her version of a healthful Chocolate Cake; it is gluten free and free of dairy and ultra refined sugars, but as you can see from the image it is quite enticing. This would be a perfect cake to make for a birthday for someone who wants to indulge, but who is following specific dietary restrictions. Check out her recipe for Gummies as well made with fresh fruit and gelatin. Excerpted with permission. Go With Your Gut, by Robyn Youkilis. Published by Kyle Books, 2016. This book didn’t originally have a chocolate cake in it, but when I attended a birthday party and tried this recipe, created by my cooking assistant Gaby, I knew I needed to include it in the book! 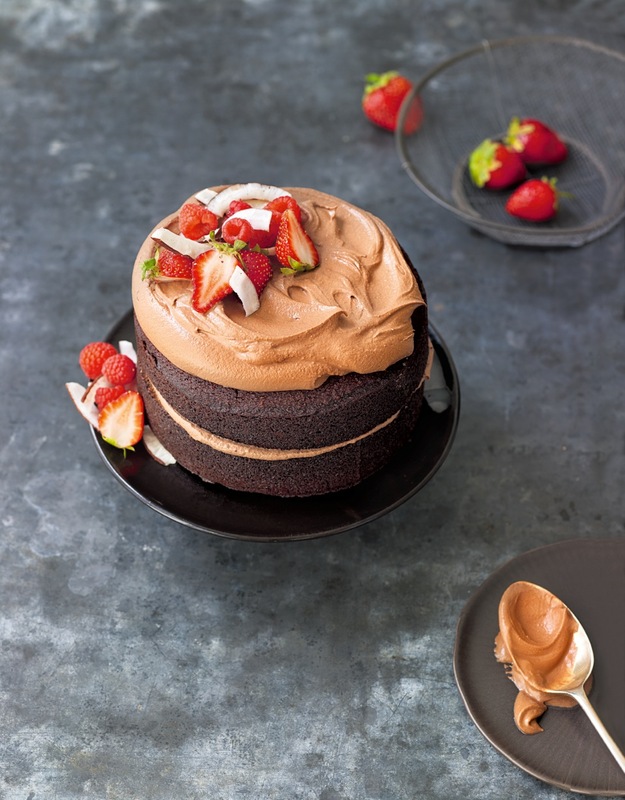 Our version of a classic chocolate cake, this one contains all good-for-you ingredients without any gluten, refined sugars, or flours and nothing funky. There are a lot of steps in this recipe (which is why I didn’t originally include it!) but it’s worth the work for a special occasion … like a Tuesday. To make the cake: Preheat the oven to 350°F. Grease the bottom and sides of a 6-inch springform cake pan with coconut oil. In a large bowl, mix together the almond flour, coconut flour, cacao powder, coconut palm sugar, baking soda, and sea salt. In a separate bowl, whisk together the coconut oil, coconut milk, eggs, vanilla, and honey. Gently mix the dry ingredients into the wet ingredients. Pour the batter into the prepared pan and bake until a toothpick inserted into the center comes out clean, 55 to 60 minutes. Let the cake cool completely, then cut it horizontally in half. To make the frosting: Spoon off only the cream from the cans of coconut milk. Whisk it and the maple syrup or coconut sugar, cocoa powder, vanilla, and salt together until smooth. 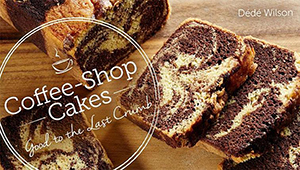 Refrigerate until you’re ready to frost and serve the cake. Put the bottom layer of cake on a plate. Spread a layer of frosting on it. Top with the other half of the cake, finish frosting, and garnish.